Flat Duo Jets will release a treasure trove of their early work on April 22nd, Record Store Day, through Daniel 13. 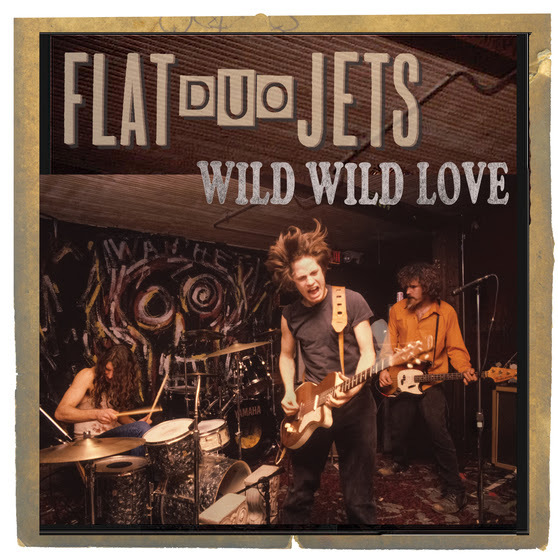 Entitled Wild Wild Love, the three-disc set contains the band's fourteen-track self-titled Dog Gone Records debut from 1990, a disc of thirteen outtakes from that period, and (In Stereo), Flat Duo Jets' six-song, cassette-only album released in 1984. Wild Wild Love will also contain a forty-page booklet with rare photos and liner notes.